1. iPod Slide: Imagine the cool, sleek design of the original iPod, combined with the touchscreen technology of more recent products, like iPod Touch and the iPhone. 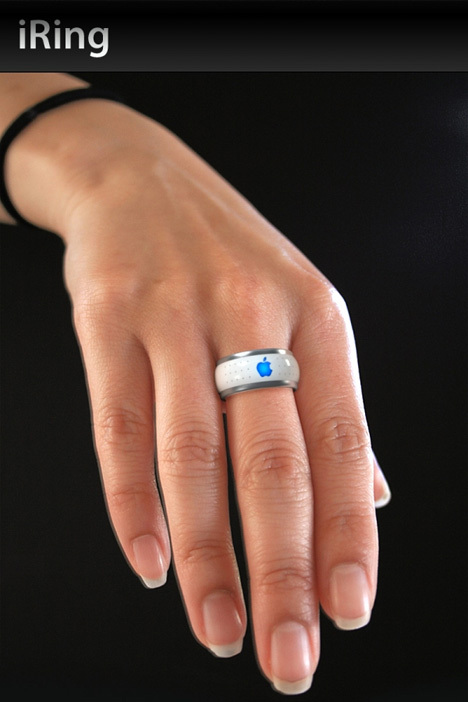 2) iRing: Imagine the potential for nerds— “one ring to rule them all.” Using Bluetooth technology, this ring would enable the user to adjust the volume of their computer. Buttons would allow them to play, pause or skip content. 3) iPhone Color: This one seems pretty basic. 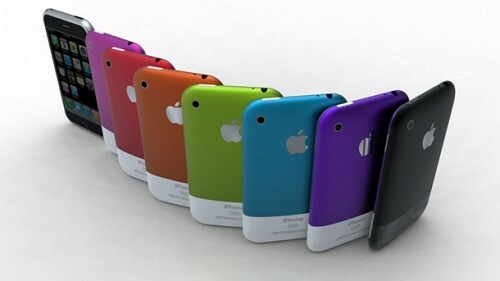 iPhone but with different colors to it. You can personalize the phone to fit your specific color wants.